The 10 Best Places for Margaritas in Oklahoma! No one is really sure when and where the margarita was born. There are many origin stories of this classic drink dating from the 1930s. 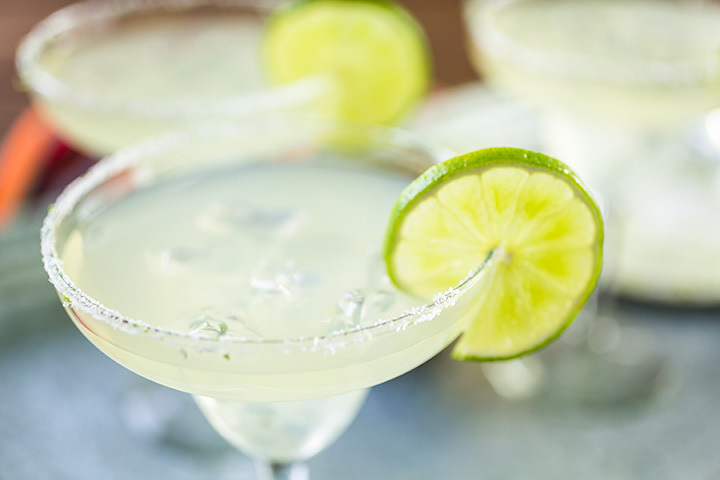 Whether the margarita is just a remake of the “Daisy” (a popular drink during Prohibition made with brandy instead of tequila) or was invented for someone special in Mexico City, what matters is that the margarita is a refreshing cocktail, often served with Mexican or Tex-Mex cuisine for an added layer of flavor. Oklahoma has some great Tex-Mex restaurants where you can find excellent food and unique drinks. Here are 10 of the best places to check out for their margaritas. There aren’t many places in OKC where you can enjoy an evening sunset over the lake while eating dinner, but Mama Roja is right on Lake Hefner for perfect viewing. The margaritas are well-known in the area. You can get a classic made with Jose Cuervo, Cointreau and a salt rim, or try one of their specialties like the “Some Like It Hot” made with habanero and mango infused Herradura Reposado, Cointreau, sweet & sour, and a salt rim. Tulsa World named Café Ole one of the best places in Tulsa to get a margarita. Gold Tequila and fresh lime juice goes into the classic drink, but they also have a menu with different varieties. The food is top notch. Go hungry. Mexico Joe’s is the place in Stillwater for Sonoran-style Mexican food and the margaritas live up to the cuisine. Try the Caribbean margarita, made with tequila, coconut rum, grenadine, and pineapple juice. At the Iguana Grill, drinks are made with the same care as the food. It starts with the freshest ingredients, good quality tequila and attention to details. Look through the drink menu for a specialty margarita like the pineapple basil or strawberry mint. On Monday through Friday during Happy Hour, get $3 mini-margaritas. You’ll find some interesting margarita varieties at this local hangout. Try the Sangria Swirl which is sangria swirled in the house frozen margarita. Top off your frozen margarita with Chambord or Midori for an added boost of fruit flavor. Enjoy music in the comfortable setting of the piano lounge at the historic Skirvin hotel. Yelp reviewers rave over the pineapple margarita, but you’ll want to check out all the versions before ordering! Ricardo’s has been serving Mexican food in Tulsa since 1975. Tulsa World regularly counts it in the list of the best margaritas in town. Pair it with the famous chile rellenos. The cocktail bar at the Wild Fork is one of the very best in town. The bartenders know how to make a margarita. Be sure to order one of there delicious entrées to pair with it! For margaritas made with 100 percent juice, real sugar and agave tequila, check out the bar inside Elote Café. Locally sourced, sustainable ingredients are the focus of this Tulsa-native owned restaurant that has revitalized the Deco District. Travel OK calls this place one of the best-kept secrets in northeast Oklahoma. The white queso might have made them famous, but the rest of the menu keeps locals coming back. The classic margaritas come in a small 12-ounce size or you can get a 64-ounce pitcher to share with your table. Find locations in Bartlesville, Coweta, and Skiatook.